In Scripture, the enemy, our Messiah, and the people of God are compared to a lion. A frequent tactic of the darkness is to tempt us into forgetting our identity in Christ. To forget our identity is to spiritually “fall asleep,” and we become vulnerable to giving our kingdom power and authority away. Yes, the evil one roams around like a lion. When we are asleep, we can become tempted to fear his roar, his fierceness, and his power. Yet when we awaken to our identity in Christ—and we remain awake—our perspective is set in order. In spiritual alertness, we remember that the authority and power of our King, the Lion of the Tribe of Judah, reigns over all. We remember that the evil one has already been defeated on the Cross. We cannot fear the darkness as long as we remain awake to the power of the Light. And we must never forget that that divine Light lives and shines through us! Beloved, this is not a time to slumber or be distracted. The hour is late. This is a time for sobriety and vigilance. 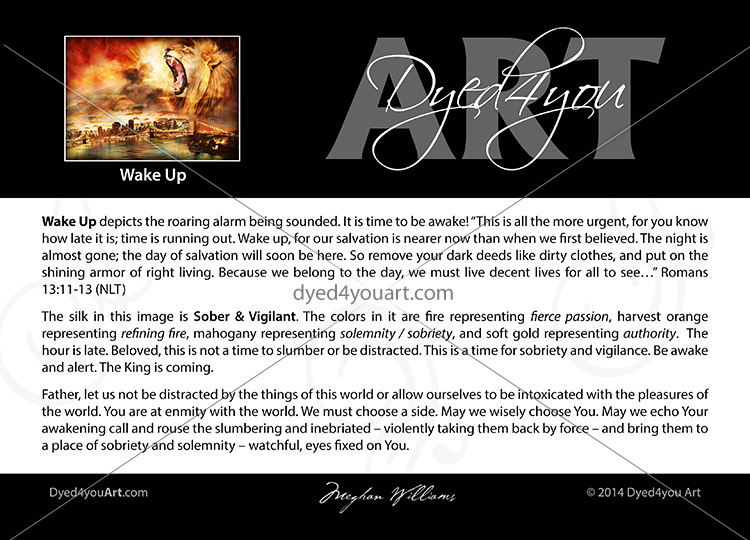 Be awake and alert. The King is coming. Make ready and remain watchful, for you do not know the hour, but will not want to be caught unaware. Resist the urge to become complacent or lackadaisical. In doing so you become vulnerable to attacks intended to derail you from My purposes. Instead, remain steadfast in vigilance and prepare for the King to come, for I AM coming. 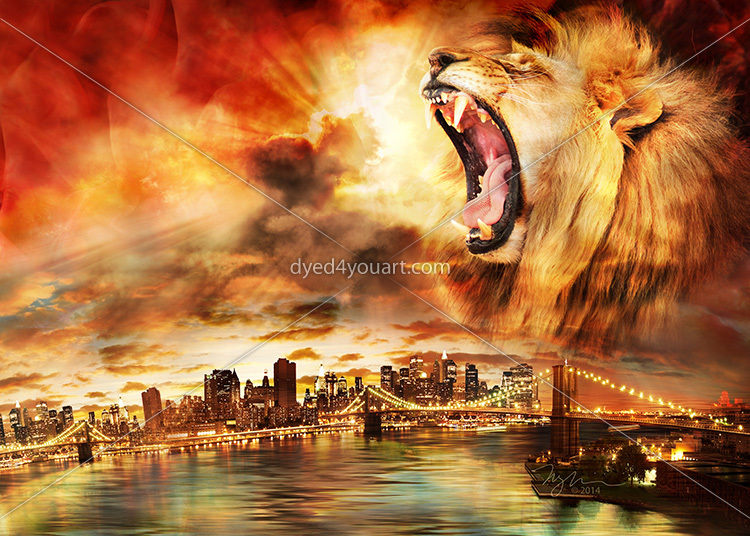 Hosea 11:10 (AMP) They will walk after the Lord [in obedience and worship], Who will roar like a lion; He will roar [summoning them] And His sons will come trembling from the west. Beloved, walk in obedience and utter devotion, for you know not the strength we operate in when we move together as one. Trust in Me and trust in My plans, for we are fearsome in unity of purpose as we watch My Word unfold. See Me as I AM – high and lifted up, One worthy of reverence and praise. Hear My voice, beloved – roaring like the fiercest lion, and tremble in awe and the majesty of My presence. I AM Lord of all, El Elyon – God Most High. The griefs and trials of today will pass, so be intentional to look ahead and align with eternity. Grieve, but don’t be overcome with grief. Trust My heart. Trust My plan. Allow My Spirit to comfort and encourage you. Rest in Me. Rely on Me. Hide yourself in Me. And look ahead. A Word called “Rise Up” from Elisa Eaton of Waiting in the Wings is connected to this. 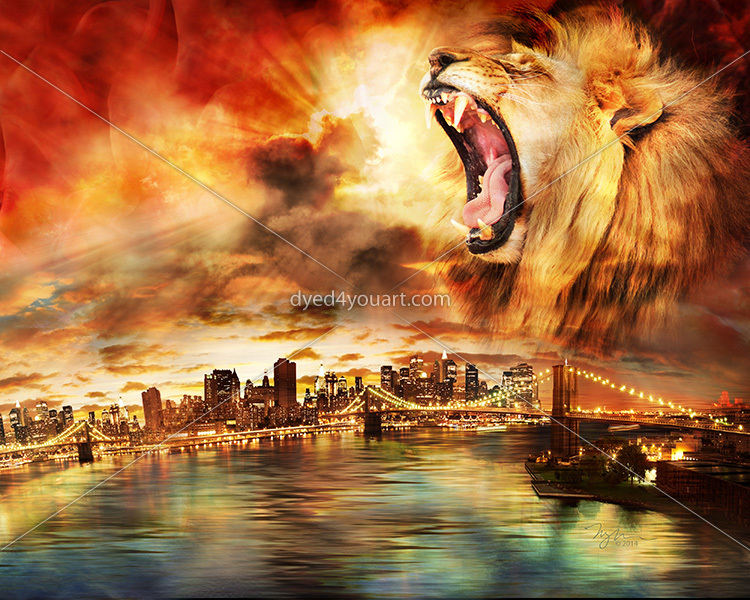 Numbers 23:24 (VOICE)Look at this people rise up like a lion, like a lion who gets up and does not lie down until it devours its prey, even drinking the blood of the slain. 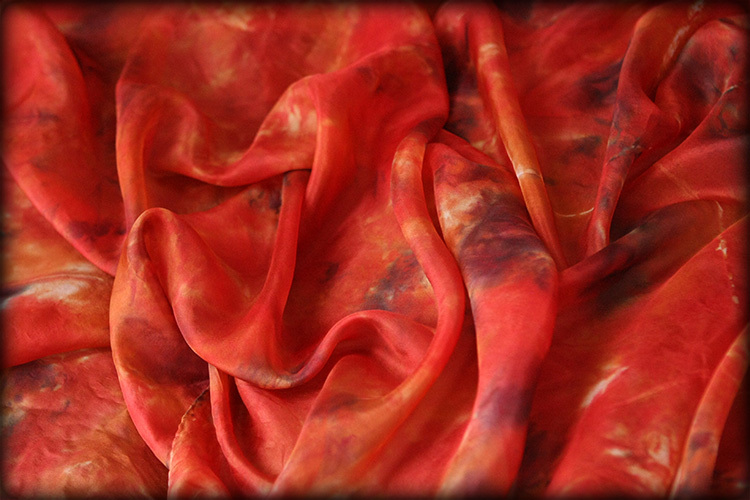 The silk hidden in this image is Sober & Vigilant. The colors in it are fire representing fierce passion, harvest orange representing refining fire, mahogany representing solemnity / sobriety, and soft gold representing authority. Father, let us not be distracted by the things of this world or allow ourselves to be intoxicated with the pleasures of the world. You are at enmity with the world. We must choose a side. May we wisely choose You. May we echo Your awakening call and rouse the slumbering and inebriated – violently taking them back by force – and bring them to a place of sobriety and solemnity – watchful, eyes fixed on You. Pardon the pun, but this really is a sobering word for today. Thank you so much for sounding the alarm! Yes! I agree with Jessica! Thank you for sounding the Alarm through your art! awesome! Intense, quite the call to be vigilant! What an AWESOME reminder of the days we live in!